Expect some light bulb moments as we shine a light on the different types of light switches and fixtures that will add the perfect touch to your home decorating scheme. Light switches date back to 1884 when John Henry Holmes invented the quick-break mechanism. Even today, the quick break mechanism is used in some electric light switches. In 1917, William J. Newton developed the quick-break mechanism and devised the first toggle light switch. The toggle light switch has since evolved and led to a few light switches according to the need and demand of the society. Some of the most recent innovations include the touch-sensitive switches, intelligent lamps that can be operated through a mobile app, remote-controlled light switches, and a light switch that can be controlled by a wave of the hand. When you think about light switches, the first thing that likely comes to mind is a toggle switch. Toggle light switches are the common light switch that just about everyone has in their homes. 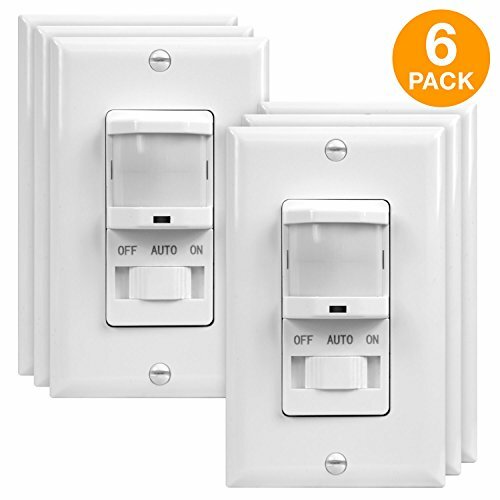 These light switches are placed in just about every room of most people’s houses, and they are easy to install. You won’t have any issues trying to figure out how a simple toggle light switch works. You flip the toggle switch up to turn your lights on and then flip it back down to turn them off. It’s a simple solution to your lighting needs that has worked for people for many years. If you want to install lighting in a new room, then using a toggle light switch is probably going to be your preferred option. There are some other switches that will offer better features than a standard toggle switch, but this will work nicely for any general lighting purposes. There are some toggle light switches that will come with special features, though. This one here is actually capable of interfacing with your smartphone. You can set up timers to turn the light on at a specific time and can even simply activate it without having to get up from your seat. It even has full integration with Alexa, making it a truly convenient option. If you want something less technological, then you can purchase a standard toggle light switch instead. You will be able to find the normal toggle light switches at just about any hardware store that you can think of. Installation should go smoothly and you’ll have the reliable light switch that you need. Push button light switches are probably the second most common light switch that you can make use of. They are really simple switches that will work excellently in your home. You often see these types of switches in people’s bathrooms. Sometimes they are wired to both the lighting and some type of an exhaust fan. There are some variations among these push-button light switches, too. Some of them are designed so that when you press the button, it will stay recessed until you press it again. There are also models that have you press the button and it will return to a normal position. Which type of press button light switch you prefer will really come down to personal preference. Some people prefer the switches that stay recessed because it gives them a visual cue of what position or mode the light is currently in. This can inform you when something is wrong if your light is supposed to be on, but it isn’t coming on. It can help you to realize that you need to change a bulb or fix some type of wiring issue. This isn’t really important though, as you would be able to figure those things out with the other type of switch, too. The push button light switch being shown off here is a nice and simple single-button model. It does have the convenient feature of having a blue LED light installed inside. This helps you to know when the light is in the “on” position. It makes things really simple, so this is definitely a good light switch to buy. Proximity light switches are very useful to set up in your home when you want to cut down on wasting energy. These switches can turn a light on in your house when you are in a room. When no people are in the room any longer, the light switch will shut things off. This makes it easy to save energy and you won’t even have to bother searching for the light switch when you are entering the room. Environmental concerns are on the minds of many people in modern times. Being able to cut down on energy consumption is a very appealing prospect. You might wind up saving some minor amount of money on your monthly energy bills if you make use of this type of light switch. Unless you are a very wasteful person when it comes to energy, it is unlikely that you will see a substantial difference. Admittedly, this type of light switch is only going to appeal to certain people. Most people like to be able to have control over their lighting. Allowing the proximity switch to simply turn on when you enter the room may wind up feeling like an inconvenience, depending on your perspective. Some people like to keep things a little dimmer, and having the lights turn on full blast every time you enter the room may not be a welcome thought. If you like this idea, then you should be able to set up a switch without it being too tough. This occupancy switch here should work nicely for setting up your lighting. It might be a good idea to use this switch in specific rooms that are community areas in your home. Many people choose to use these light switches in their living rooms. A selector switch can be very important when you are trying to set up lighting that has two different modes. The selector switch is going to allow you to switch between two different settings effectively. These types of switches are actually commonly used for fans. They allow you to switch fan speeds, as well as different fan modes. When it comes to lighting, this can allow you to select from different lighting modes. 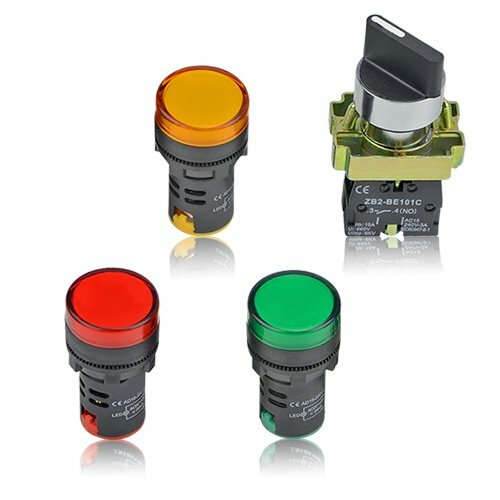 Sometimes people use these types of switches when they have lighting setups that have different colored lights. It lets them select which one they would like to use at any given time. It’s a pretty easy solution to setting up your lights and you will find these types of light switches being used in many places. The most typical type of selector light switch is the rotary switch. It sort of functions like a dial that allows you to switch between different modes. There are other types of selector switch types as well, such as ones that have different buttons to press in or even ones that function similarly to toggle switches. Whatever type you decide to make use of should be fine for your purposes. The one that is being shown off here is a position selector switch with a rotary dial. It is very simple to use and will allow you to switch between different lights quickly. It also happens to come with four different LED lights. 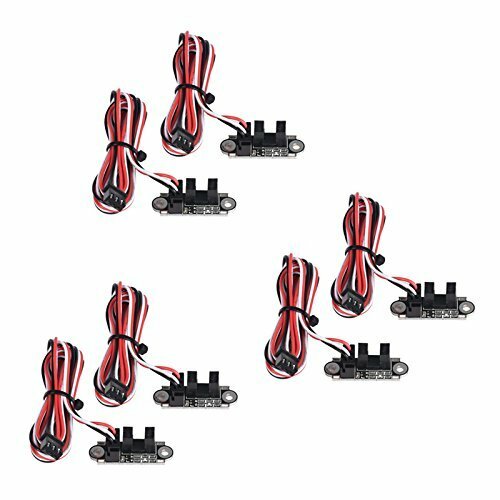 You can buy standalone switches without lights as well if that is what you are looking for. You will find that there are times when you want to have just a little bit of light to set the proper mood. Some people refer to dim lights as mood lighting and others think of the lights as romantic. To be able to dim your lights effectively, you are going to need to have some type of dimmer light switch. Thankfully, these light switches are actually very common and pretty simple to set up. Being able to dim your lights will be very beneficial. As previously mentioned, it can help to set the right mood for certain occasions. It will also be nice to be able to dim the lights to lessen the strain on your eyes. Sometimes, lights can get too bright and it can feel overwhelming after a long day, so being able to dim them is really important. Dimmer light switches will come in several different varieties. You will be able to find dimmer light switches that have a dial and allow you to adjust the intensity of the light to a fine degree. Some of the dimmer light switches will feature a touch switch that lets you slowly adjust the light levels with a swipe of your finger. The one being shown here actually comes with a handy remote control. This remote control is going to allow you to dim your lights exactly how you want them. You will be able to ensure that your lights will be at the right level at all times. You can adjust the lights so that you will have just enough light to enjoy reading a book or make them brighter for when you need to see fine details. It’s a convenient light switch solution that will be perfect for your home. Photoelectric light switches aren’t as commonly used in homes as much as the others that are on this list. Regardless, this type of light switch is very useful and will have some applications that you will be able to make use of. If you want to be able to set up a light that will automatically come on when it starts to get dark, then you’ll need to make use of a photoelectric light switch. It has a sensor that can detect when the light levels are getting low. Once the sensor has detected that light levels are beginning to drop, it will turn the light on. This allows you to always have light in the areas where you need it the most. You won’t have to worry about fumbling around for a light switch or tripping over objects. The light will simply just come on when it needs to be on. Obviously, this type of light switch has some interesting potential applications. Whether or not you need a light switch such as this is up in the air. Some people choose to use light switches such as this for their porch lights to ensure that people can see outside. If you live in an area without street lights, then this may be a good idea. Speaking of street lights, they are actually the primary use for these switches. Photoelectric light switches are used in street lights and street lamps to make them come on when it gets dark. Many people don’t think about how these lights know when to come on, but now you know that it is because of photoelectric light switches. You should be able to make use of these switches in your garden, on your porch, or in other spots outside where you are going to need to be able to see at night. There is a good chance that you have seen motion activated light switches before. If you have ever walked up to someone’s property and seen the porch light automatically come on, then what you encountered was a motion activated light switch. These light switches have various applications, but they are most commonly used for security purposes. They can be very effective tools that will keep potential burglars at bay. Many people decide to set up motion activated lights in their yard. This can keep people from sneaking around on your property during the night. The sudden activation of a light is usually enough to scare any would-be intruders away. It works excellently as a deterrent and setting up motion-activated light switches won’t be too hard either. You can usually buy motion-sensitive lights that come with a switch. This switch that is being sold here is a standalone switch that does not come with any lights. Setting up the switch should be quick and won’t be difficult to do. You just need to position it properly and attach the lights to it as instructed. It might actually be simpler to buy motion-activated lights that come with their own switch set up. It is up to you to decide which route to take, though. Either way, you will be able to set up motion-activated lights that will work well to protect your home. It’s a good security measure to take and will help you to rest a little bit easier at night. Sometimes people seek out light switches that are more convenient to use. When you want to be able to use a light switch without having to get up to press or flick the switch, your options are going to be limited. Motion activated light switches are out there, but these are more commonly used for outdoor purposes. As noted above, you will see those being used for security purposes. One of the more convenient ways to turn a light on and off is through sound activation. There are light switches on the market that are capable of detecting sound. Particular sounds can turn the lights on and off. The motion necessary to turn the light on and off could be as easy as a clap or a snap of your fingers. This technology has actually been around for a very long time, too. 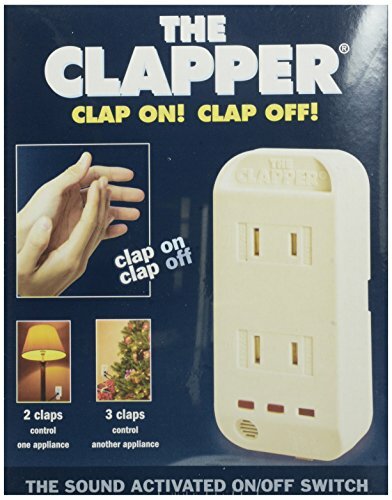 You may remember a certain commercial about the light switch that can be activated by simply clapping your hands. This light switch wound up becoming quite the phenomenon and millions of people really enjoyed what it brought to the table. This type of light switch is still available and the technology has become even more reliable over time. This is a very simple light switch solution that plugs into your normal electrical outlet. You can plug in a lamp or some other type of light to the outlet. When you clap your hands, the light will turn on. Simply clapping your hands will turn the light back off and you will have yourself a convenient light switch. One of the most common types of light fixtures that you will see in people’s home is ceiling light fixtures. These light fixtures have been a staple of homes for a very long time and they will continue to be prevalent for the foreseeable future. They are one of the most convenient types of light fixtures to have when you are trying to light a large area with only one or two lights. This is why ceiling lights are so commonly seen in living room areas. These lights are really typical for just about anywhere in a home. You will find ceiling lights in bathrooms, bedrooms, and even kitchens. It is a convenient lighting solution that can give you a lot of light without having to take up much space. If you would like to be able to light your house effectively, then this is the light fixture that you will want to look into. These light fixtures can wind up being quite decorative in some cases too. If you want to find lighting that will complement your overall décor, then you should be able to find plenty of interesting options when looking at ceiling light fixtures. There are all sorts of ceiling light fixtures on the market and it shouldn’t be difficult to find one that will suit your particular sense of style. Just look around a little bit before you make an ultimate decision on what to purchase. The ceiling light fixture being shown here has a very interesting classic design. It evokes imagery of early 1900’s lighting and will definitely fit in nicely if you are going for an older look in your home. This antique-style fixture has a really nice bronze finish that will really make it stand out. It’s a good option for a ceiling light fixture if this is your style, but there are plenty of other modern ceiling light fixtures to consider as well. Track lighting is very commonly used for both domestic and commercial purposes. This type of lighting fixture involves using mounted or suspended lights on your ceiling. There will be multiple lights going along a track to provide a substantial amount of light. Many people decide to install track lighting fixtures in their living rooms. You can also use track lighting as a way to highlight something in a room. For example, the lights that are placed on the track can be tilted in a certain direction. If you have a piece of art on your wall or some other interesting feature, you could point the lights towards it to draw attention to the piece. This is one of the reasons why this type of lighting is commonly used in commercial circles. Installing track lighting is actually pretty easy once you know what you are doing. You will need to make sure that you install everything evenly for the lights to be aligned properly. Once the work is done, you will be able to enjoy a very interesting and dynamic light source. You’ll be able to make use of this lighting in many different ways to make your room stand out. The track lighting fixture that is being shown here can support four different lights. This is a good solution for when you need to highlight one specific area. This lighting fixture is affordable enough to make buying multiples practical as well. You could easily install several of these if you need a more robust lighting solution. Recessed lighting fixtures can be really nice if you know how to set things up properly. This will allow you to create some environmental lighting or mood lighting if you so choose. Light fixtures can be placed in positions such as underneath your cupboards or on your ceiling. This involves the light fixture is placed in a recessed area. You likely have some type of recessed lighting in your home already. If you have a fixture that creates a hole in your wall where the lighting goes, then that is recessed lighting. People use these types of fixtures to create all sorts of unique lighting options. It can provide you with a more narrow band of light that works perfectly for accent lighting. It isn’t too difficult to install a recessed lighting fixture, so long as you have some know-how. If you feel uncomfortable performing this work at any time, then you can always call in an electrician to finish the job. It is imperative that you stay safe while working with electricity, so make sure that you know what you are getting yourself into ahead of time. If you install recessed lighting in specific places throughout your home, you will be able to create some truly dynamic light. This is going to be your preferred light fixture style for accent lighting and many other purposes. Your home will definitely be able to have the right vibe so long as you use recessed lighting to its full potential. Just remember to call the electrician if you need a little bit of assistance.